materials: Inkadinkado "Little Cupcake", Lawn Fawn "Critters Down Under", Papertrey Ink "Tweet Talk", copics, Memento 'Tuxedo Black' ink, Liquid Pearls, My Mind's Eye enamel dots, Distress Ink "Spun Sugar". These little matching tags were tied around my gift. One for him, one for her! 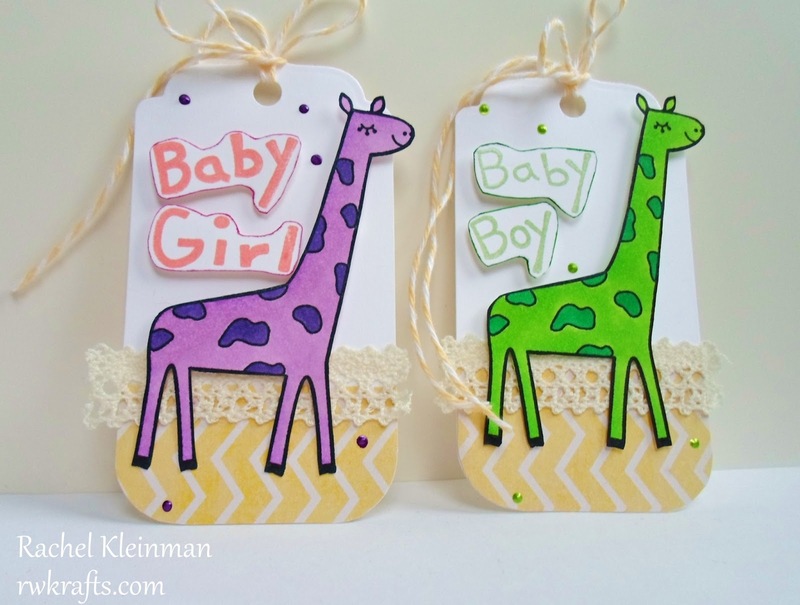 I'm also entering these tags into the Moxie Fab Gift Tag Challenge. 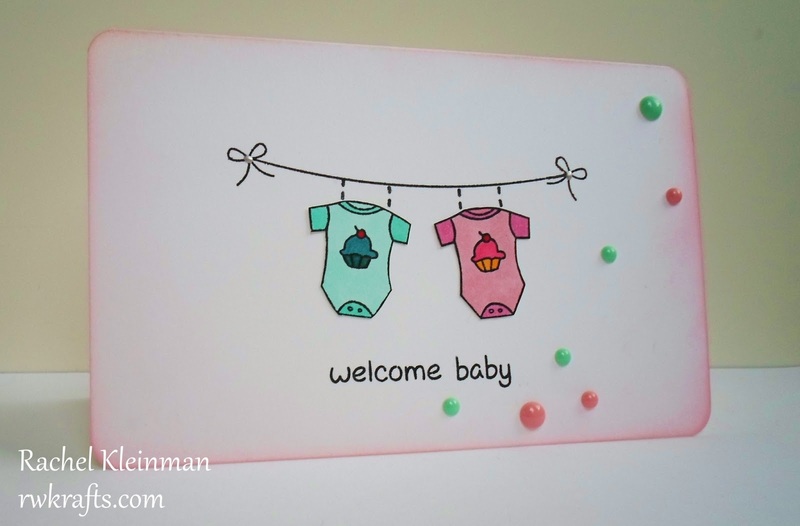 materials: neenah solar white cardstock, Inkadinkado "Little Cupcake" and "Little Tyke", My Cute Stamps "Circus Animals", Liquid Pearls, Versamagic chalk ink, The Twinery twine "buttercream", Copics, Memento 'tuxedo black' ink. 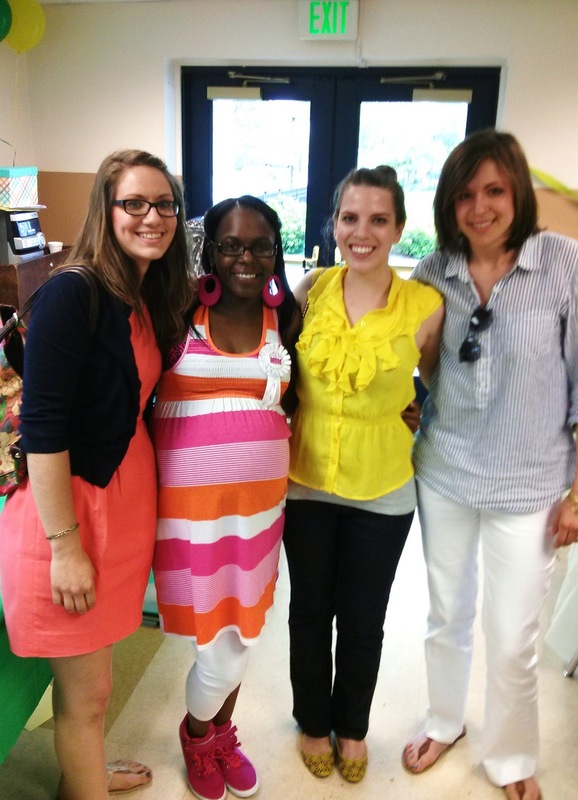 Annnd I just have to share our photo of my coworkers and I with the glowing mommy! thanks sandy! i enjoyed breaking out of my element and making some baby things! Awesome creations and what a great pic!! 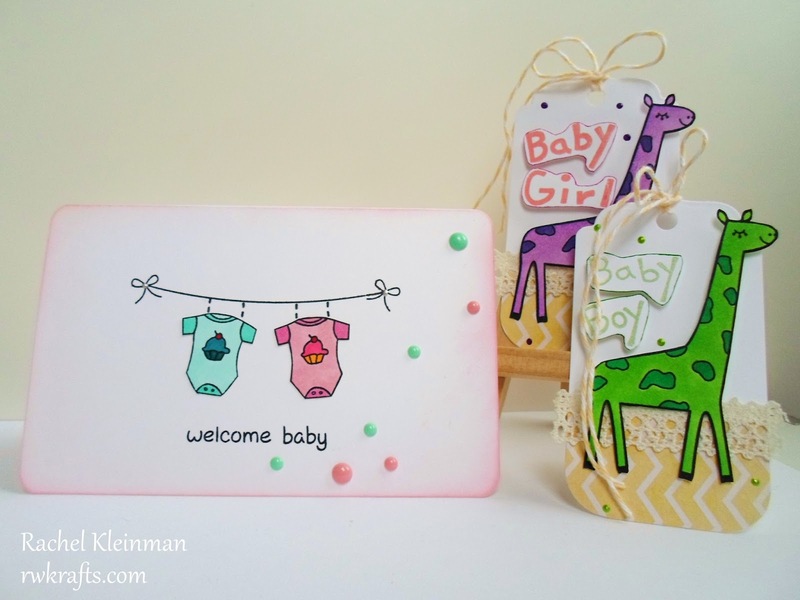 LOL...love your "You got blogged" comment...what a cute baby set! So fun! hahah ya I don't think they'll be thrilled to see their photo up here... too late! so sweet and pretty! i love that giraffe's smug look...too cute lol. the card is perfect with the g/b onesies.